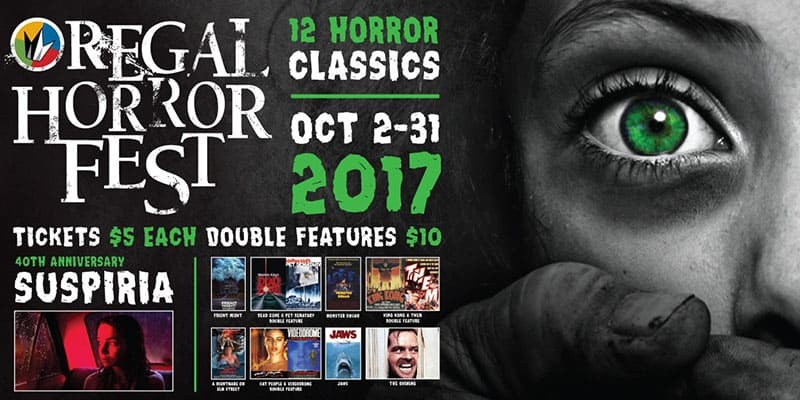 Catch 12 of the Best Horror Classics at Regal Theaters over October. Single features for $5 a pop with doubles (both movies) at $10 per ticket. Single movies start at 7pm and 10pm, whilst doubles at 7pm.